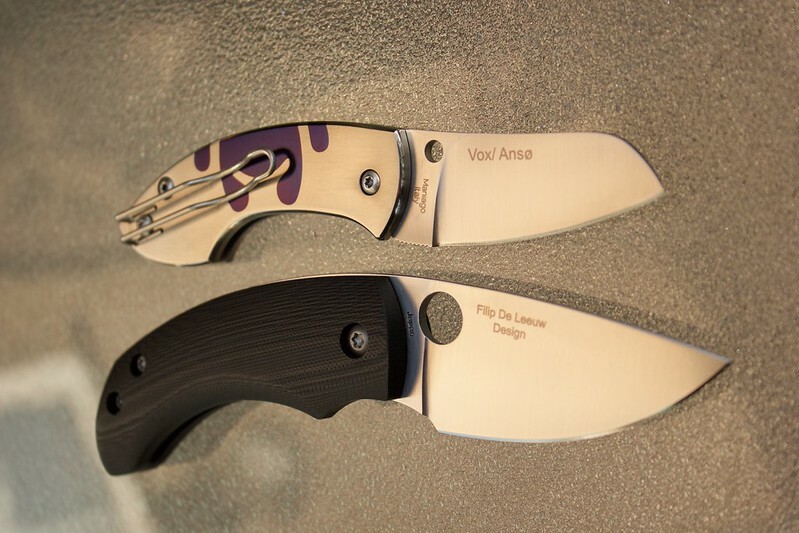 I picked up the Friction Folder the other day and it is a very nice addition to my collection. 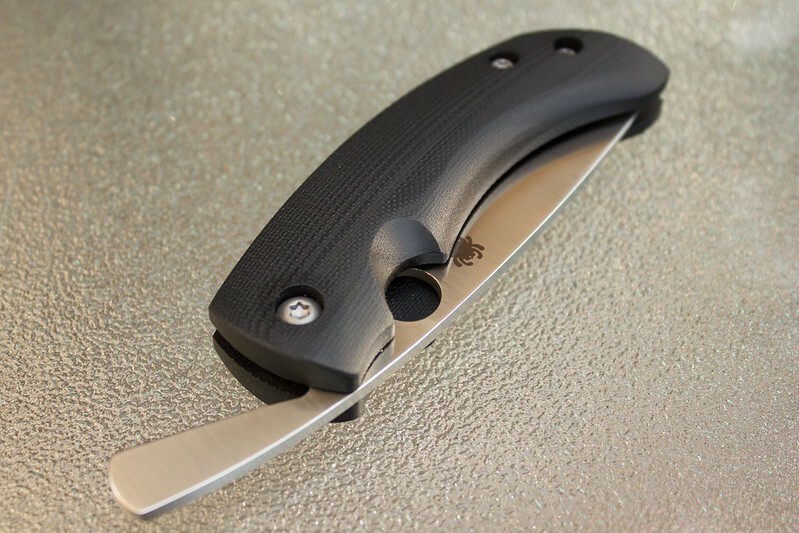 I've never owned a friction folder before and was curious to get my hands on one. 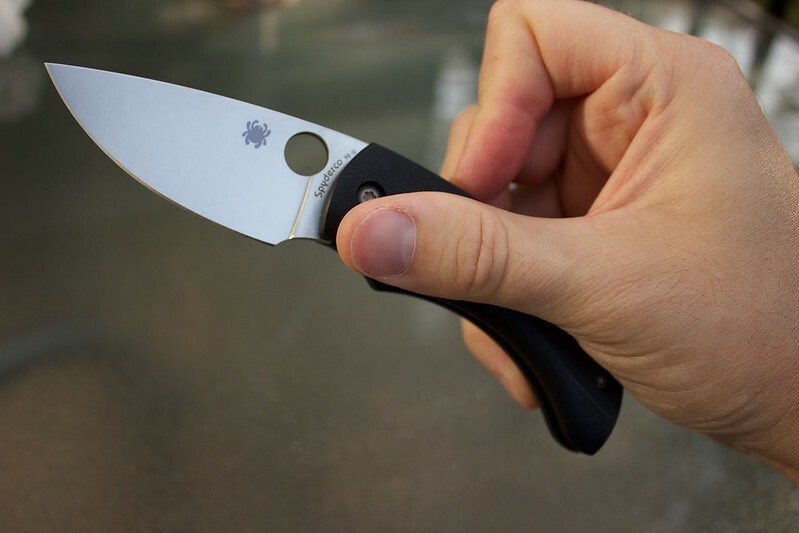 It took a little getting used to as its not the easiest knife in the world to open, but I'm liking it a lot. It has been a long wait for this model since I first heard about it. I think there were some issues with its manufacturer or something. The original had some pins in the scales but I'm not sure why. Was it to match the original custom version? Purely cosmetic? Not sure. 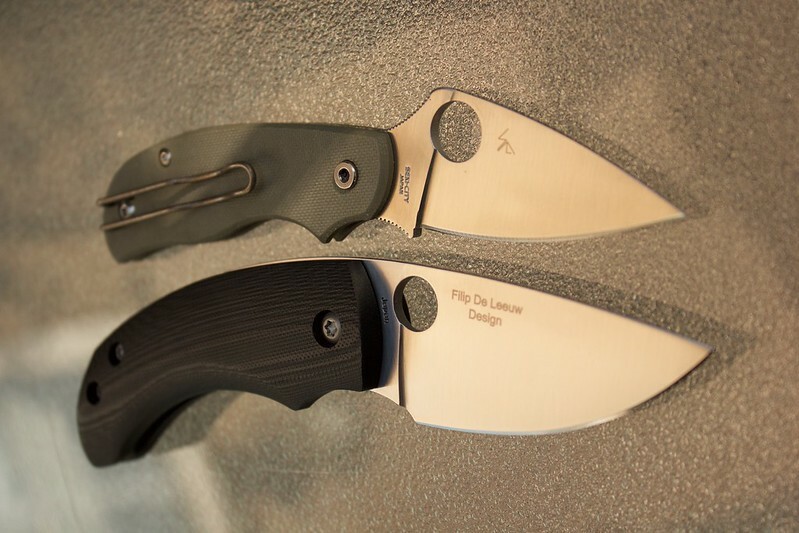 The final version of this knife doesn't have the pins and the pouch was changed from the one we have all seen in the prototype images. I think I prefer it without the pins as it looks cleaner. 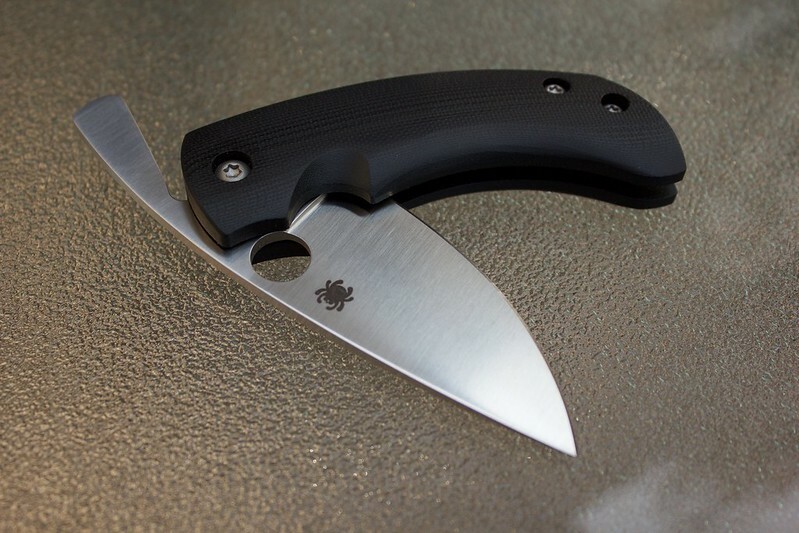 The knife is very well built compact little guy. 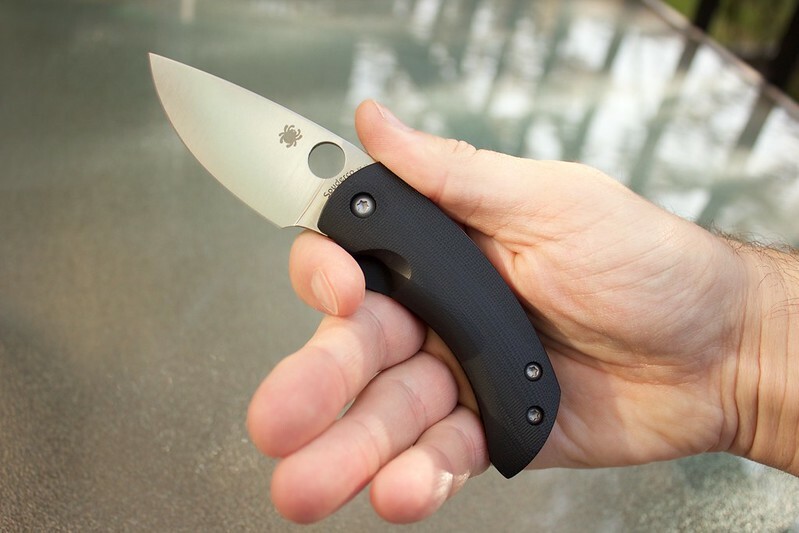 The lack of a lock and the blade length being 2.875" makes it legal in most places. Although it can open with one hand so I guess the Denmark crowd is out of luck. 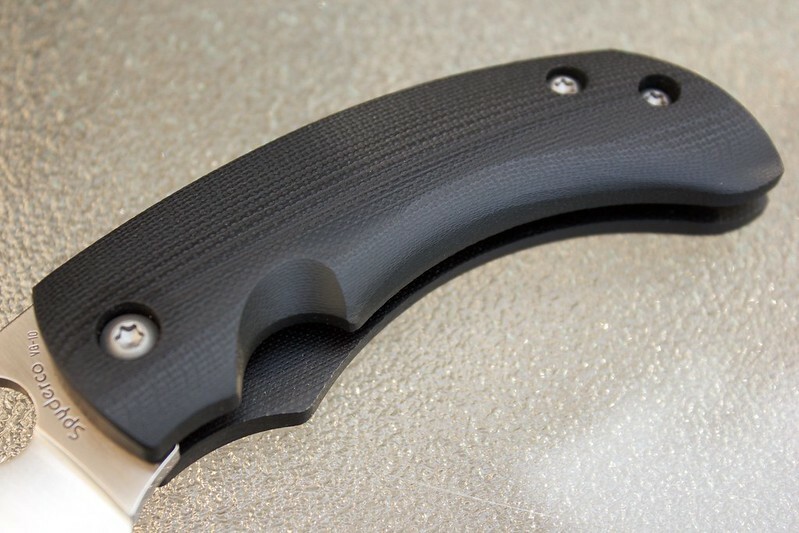 The fit and finish on this knife is very nice. The only thing I could find wrong with it is the inside of the opening hole, it is pretty rough looking but I don't mind. 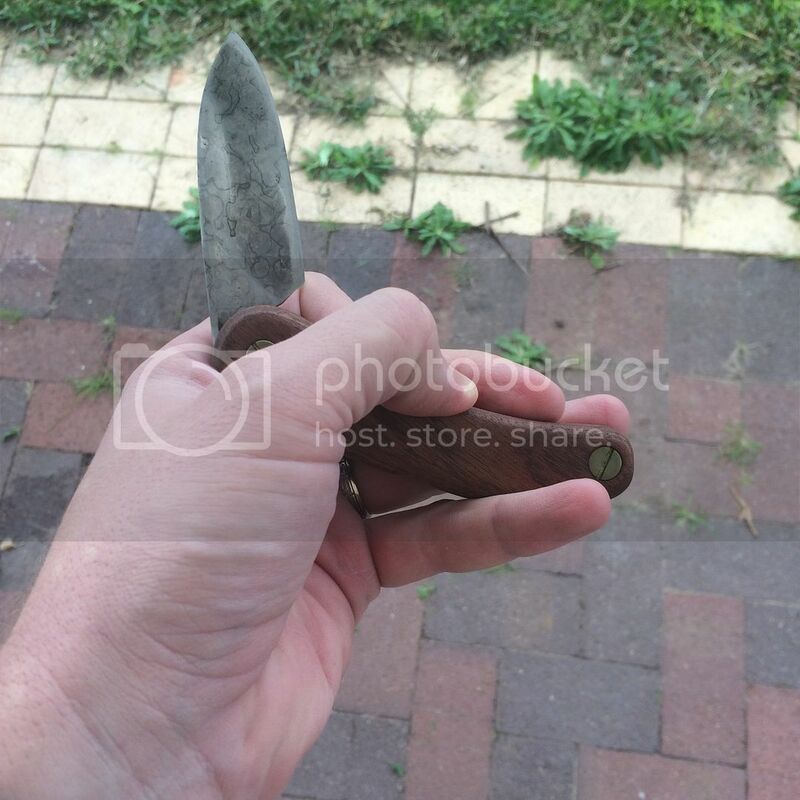 My main goal of this thread is just to provide a better look at the knife for those that may be interested. I've had a hard time finding actual images of this thing on the internet. The pouch is disappointing but better than I originally expected from the pictures. 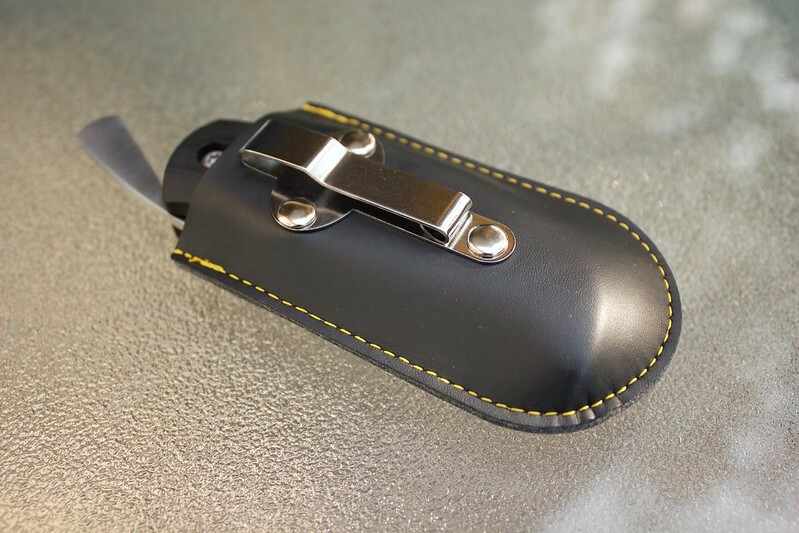 It is made of leather (according to the paperwork) and the stitching is good. It certainly feels like a quality piece. The reason I'm disappointed with it is because the clip looks rather random. 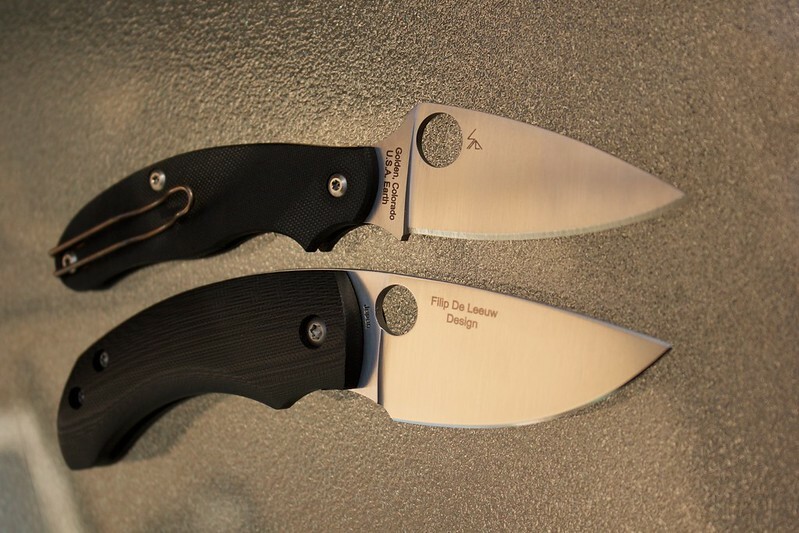 The original photos I had seen included a clip that looked decidedly Spyderco. This one does not. 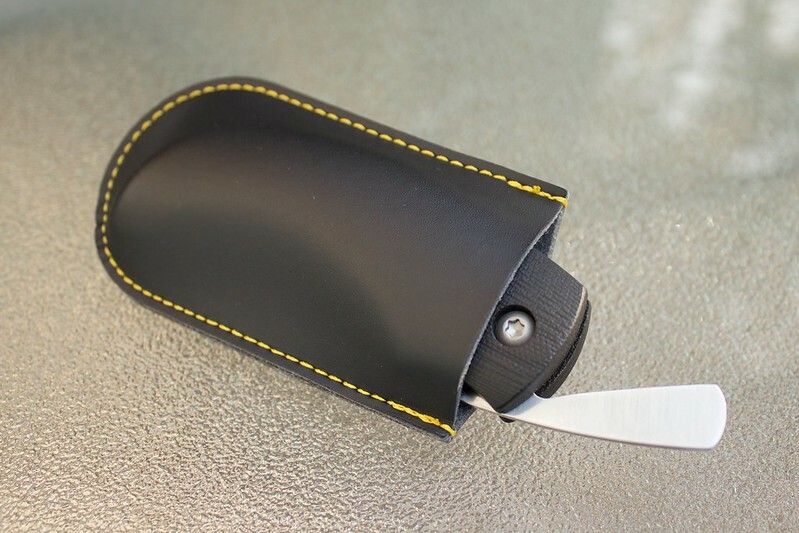 The pouch holds the knife securely but I find the clip doesn't clip it to my pants as snug as I would like. When I go to draw it from my pocket I need to apply pressure to the pouch to stop it from coming out along with the knife. To put it back in the pocket I need to remove the pouch put the knife in it, then it all goes into the pocket together. 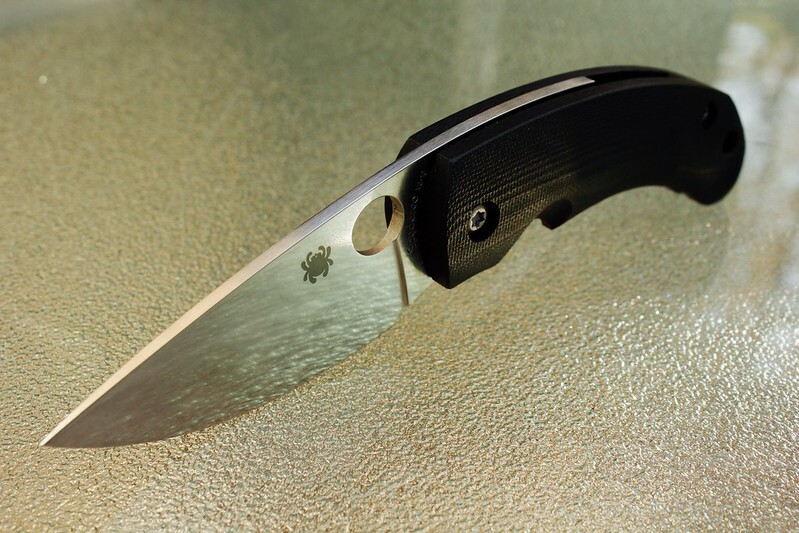 One of the things about this knife that I like the most is the finish on the scales. They are really thick, linerless and radiused so they fit in your hand nicely. They've managed to replicate almost a wood like grain in the handles. It reminds me of the finish on the Nilakka which I also really like. 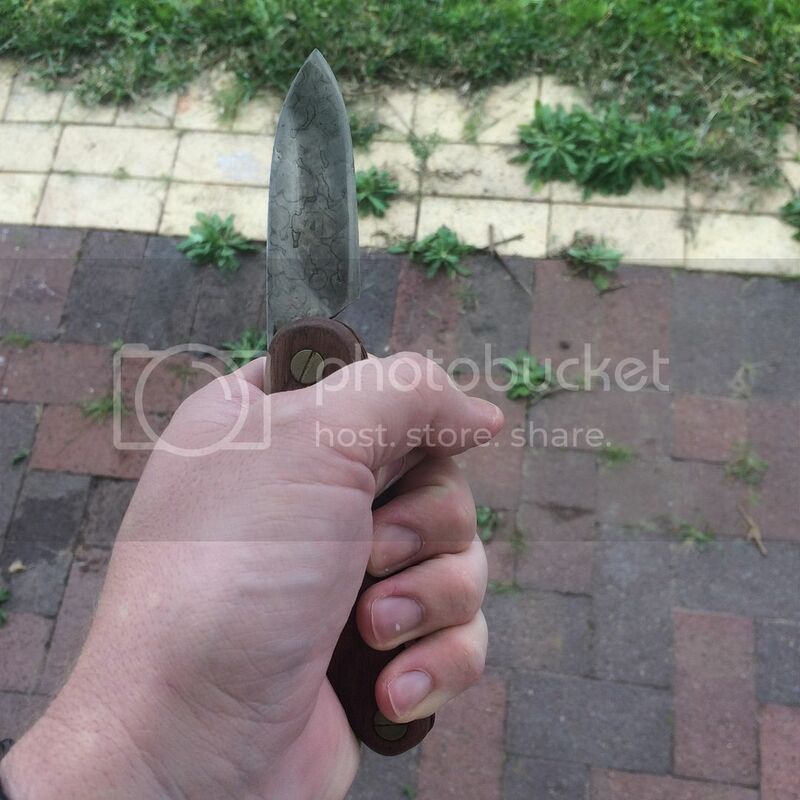 The knife was made in Japan, but I'm not sure where in Japan (which factory). Maybe someone could fill me in. Whoever made it, did a really nice job. Last edited by Liquid Cobra on Sun Aug 23, 2015 1:12 pm, edited 1 time in total. Opening and closing the knife takes a little getting used to. 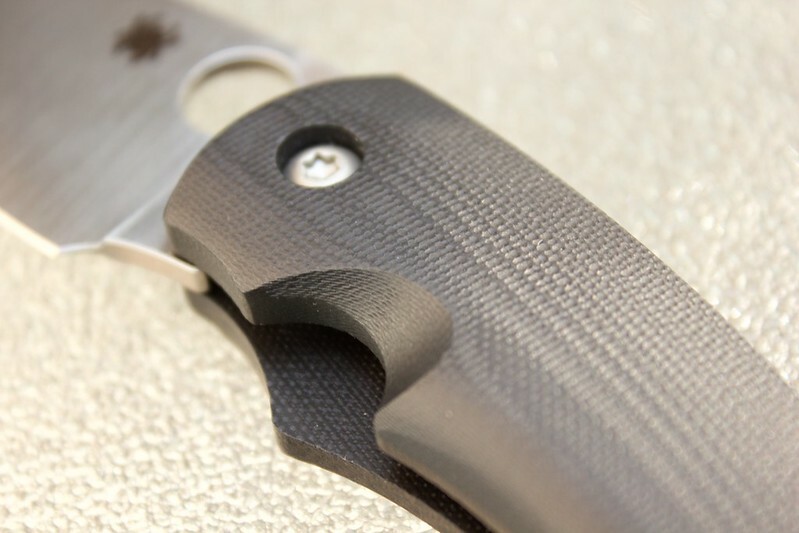 The thumb hole is hard to use (for me) as the scales are pretty thick so its a little blocked. 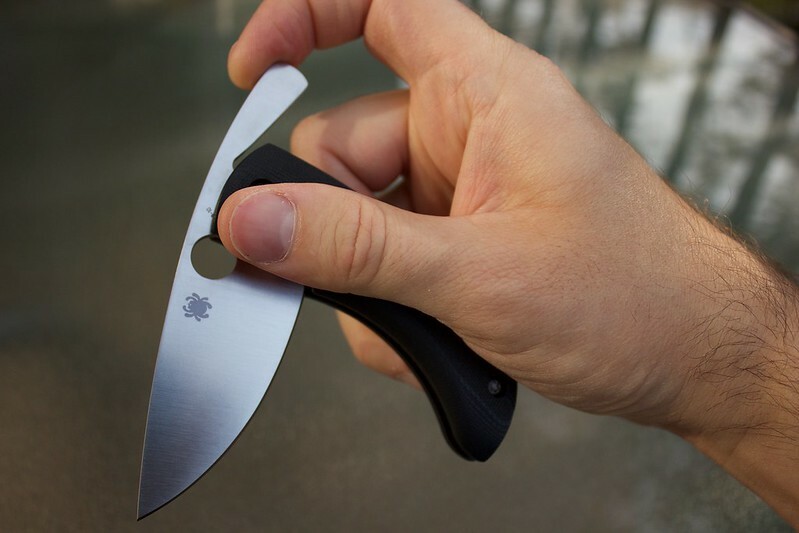 I open and close the knife using the tang instead. I have no experience with straight razors so it took a little practice, but once you get the hang of it its easy. Using two hands is even easier. 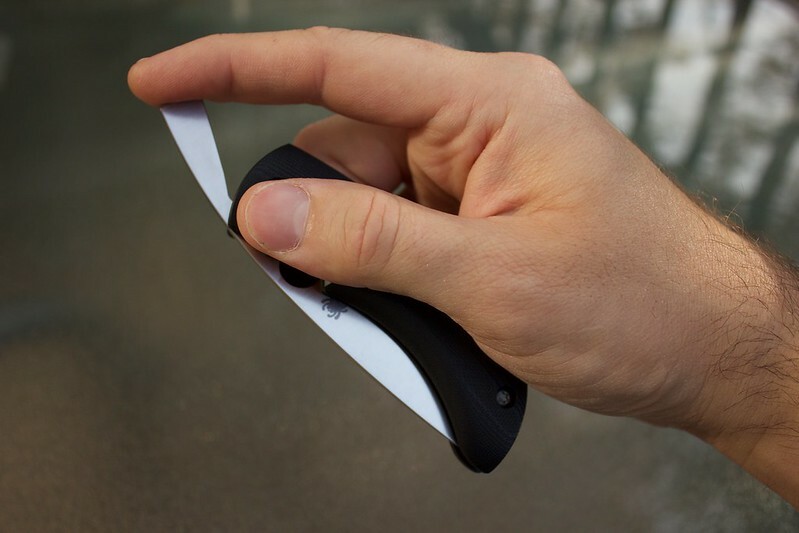 The knife fits my hand perfectly which was a nice surprise. I was worried it would be too small but its not. I have large hands so unless your a really huge guy this will work for you. 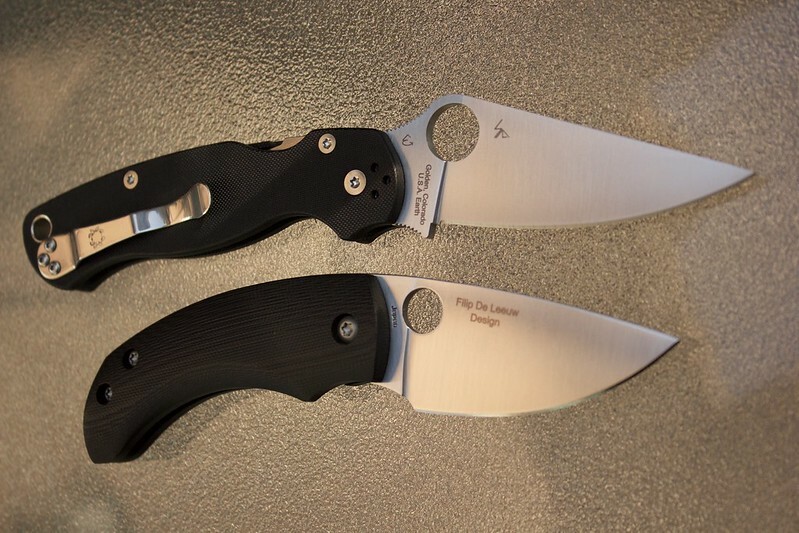 As far as size comparisons I grabbed one of my Para 2's as we are all familiar with it. 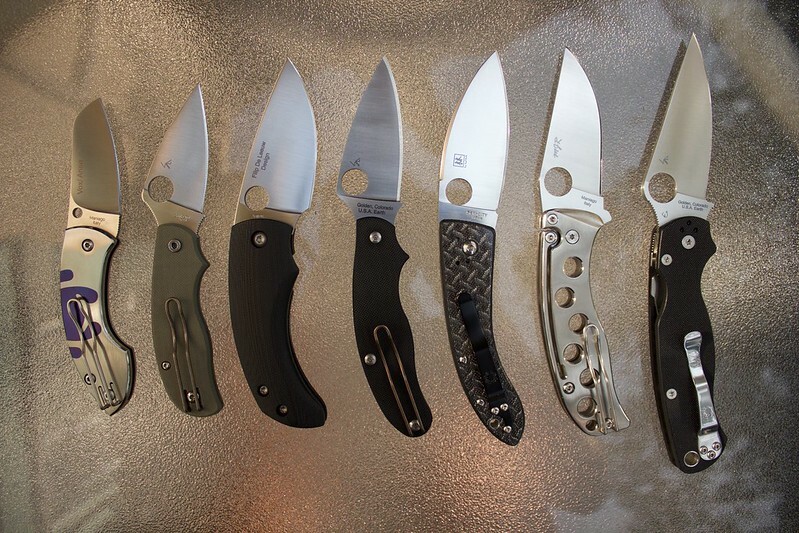 But I also grabbed some of my non locking knives because lets face it, unless you live somewhere where you can't have a lock you aren't buying this knife unless you have a sweet spot in your heart for stuff like this like I do. 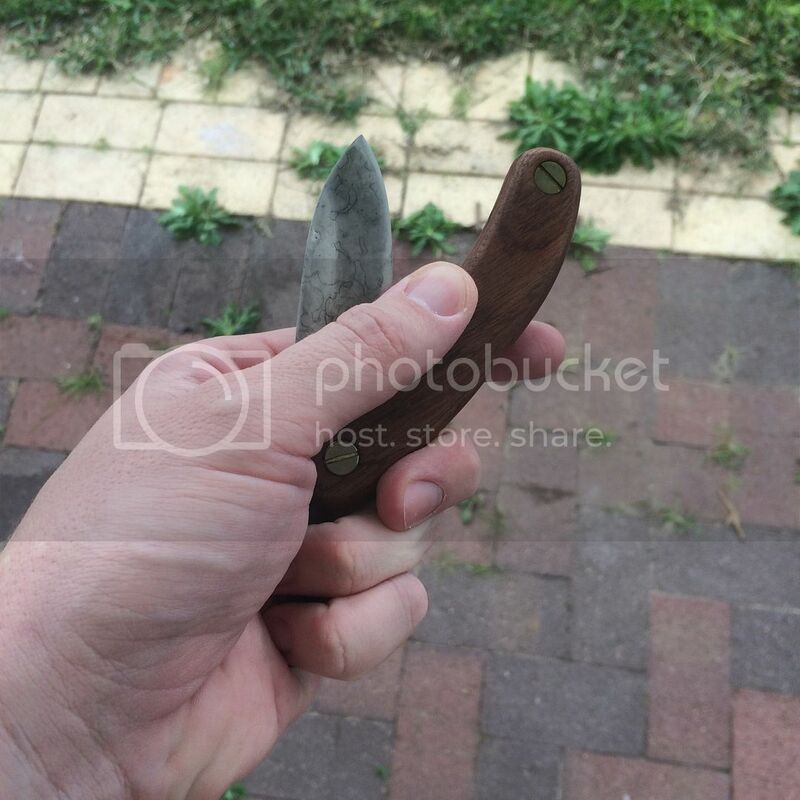 I also grabbed my Chinese Lum as they are pretty similar in shape. 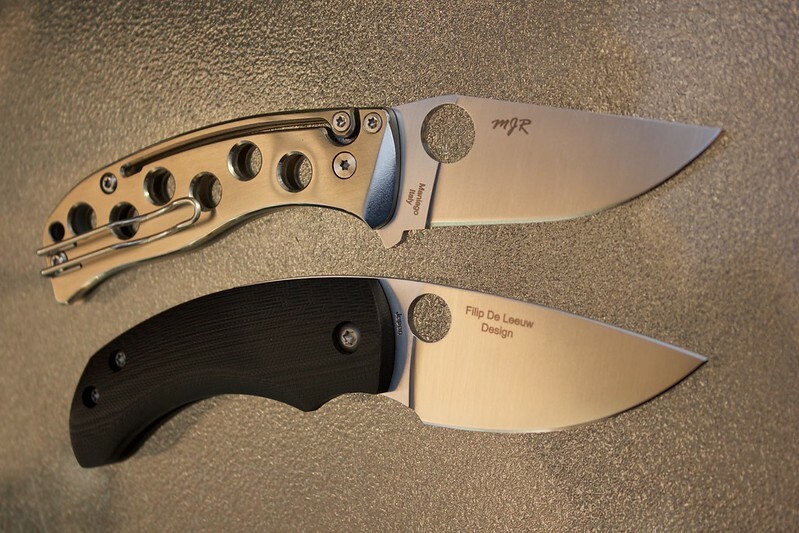 I'm reluctant to say this as its sort of an arbitrary observation depending on who you are but the knife arrived really really sharp straight out of the box. 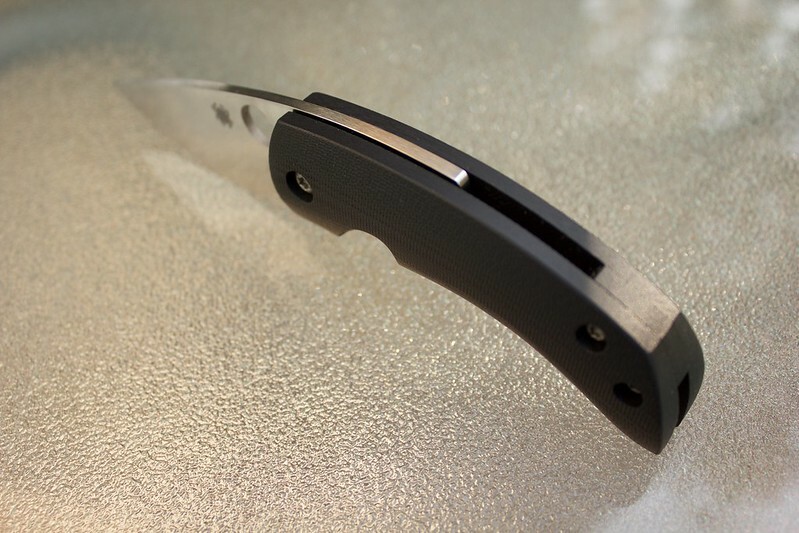 Typically I have to sharpen a new knife to get it where I like it, but the Friction Folder didn't need such treatment. 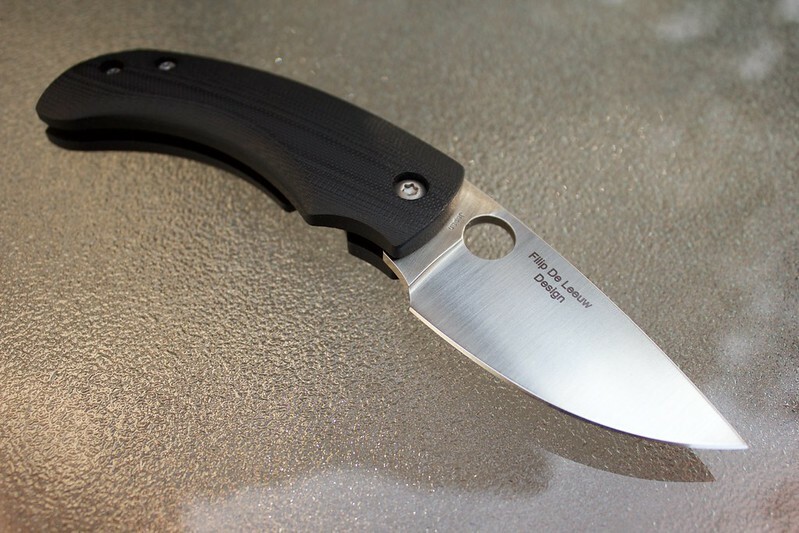 The blade certainly stays open as long as you follow the "rules". Keep pressure on the tang and you are good to go. It takes a little bit more attention than say the UKPK or PITS during use but it certainly gets the job done. 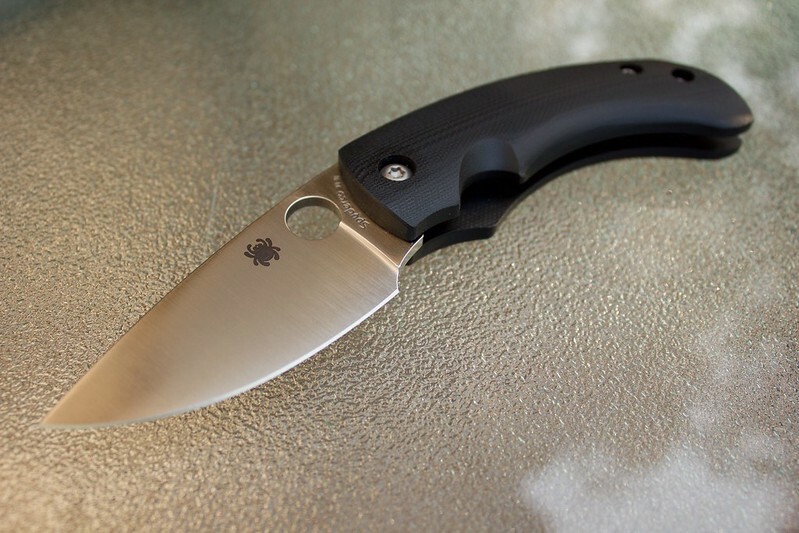 If I were to go on safari or something, this knife wouldn't be my first choice. But if you are looking for something for light duty this will work for you. 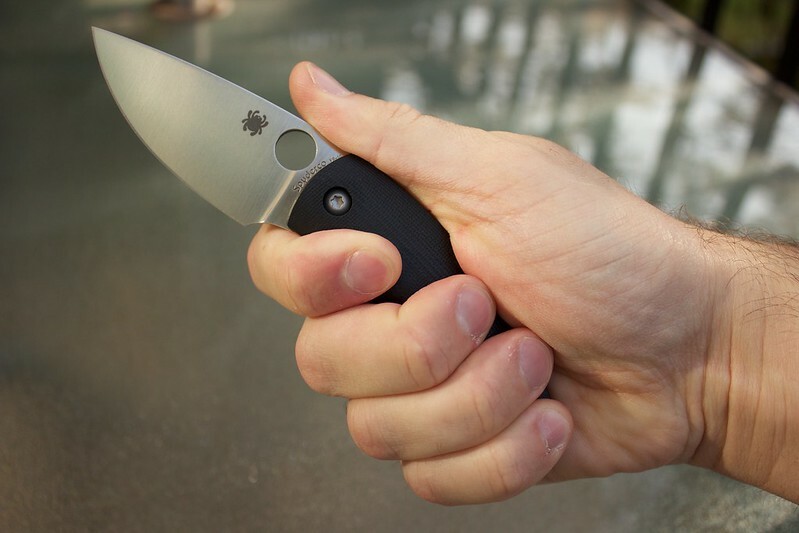 I think the thing I like most about this knife is its style. It doesn't lock, and it doesn't need to. 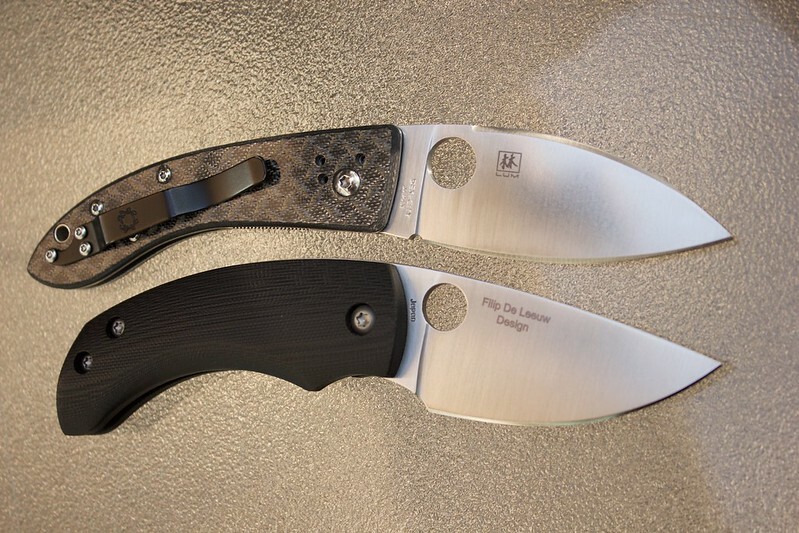 During a time when Spyderco offers every kind of lock under the sun, it seems fitting that they would produce a knife with no lock at all. 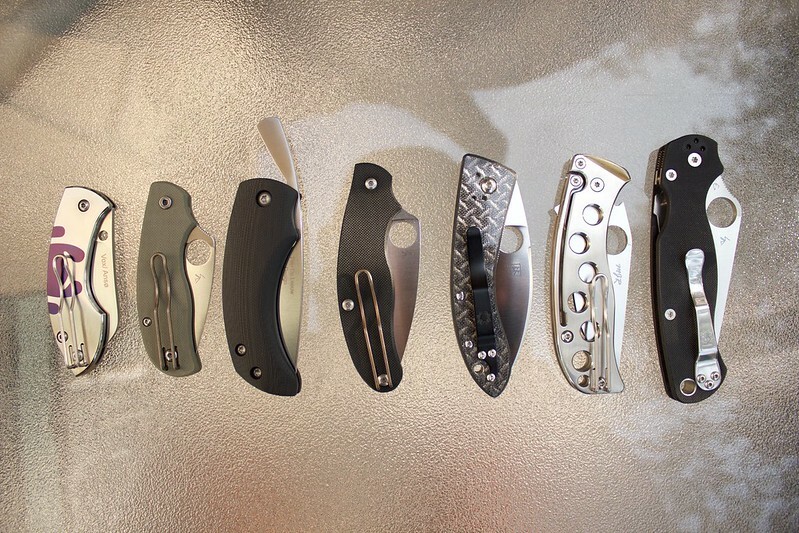 This is as simple as things get when it comes to a folding knife. 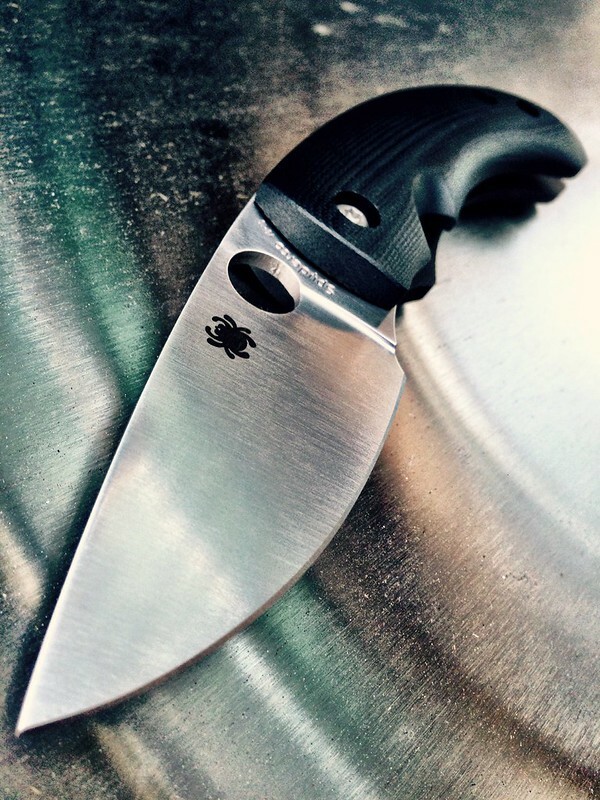 Handle, blade, screws. Thanks for looking. Excellent pics and write up! Excellent review! Very well done. The comparison photos really help to get an idea of the size of it. 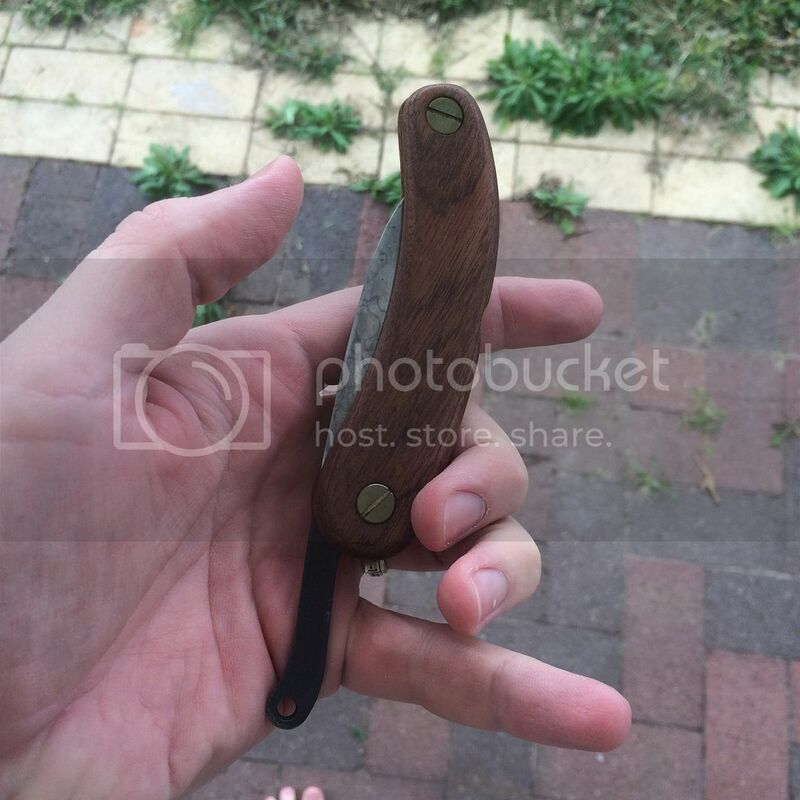 Thanks for the review, looks like a really cool little knife !